A report by Gartner predicts that by 2020, more than 80% of customer interactions will be serviced by chatbots and non-human agents. Google has just announced big plans for AI powered virtual assistants and voice-activated bots, but will chatbots obliterate contact centers? It will depend on how businesses build and test the bots to the extent where the latter can provide information and solve problems as well. 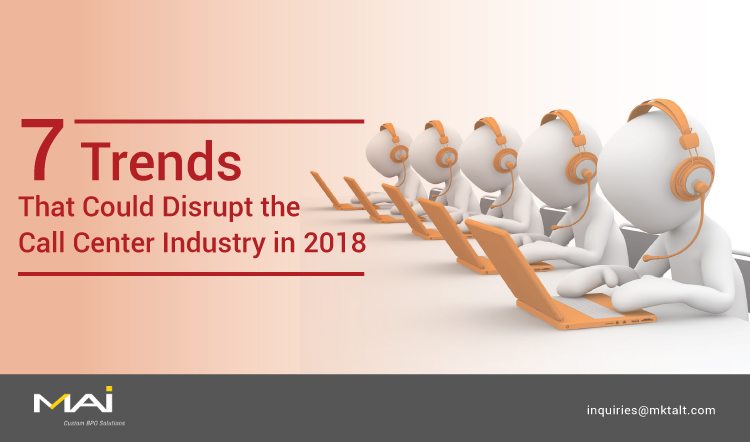 As contact center enterprises and customer support centers enter a new era of digital transformation, it is important to understand how much voice assistants are revolutionizing the market. Conversational commerce is the tool that is bringing about this revolution. Smarter analytics is the key to boosting contact center efficiency. Speech and text analytics aside, predictive analytics and self-service analytics can help predict, for instance, which customers are most likely to pay and provide intelligence you can use to strategize better. Predictive analytics can also help identify red flags when it comes to customer experiences. It can be used for customer retention and also for designing interfaces that are more in keeping with customer behavior. Chatbots are an excellent means to deliver customer satisfaction, but unlike humans, they cannot multitask or engage in associative thinking. At least, not yet. AI-powered systems still need a human interface and understanding of the problem. When contact centers are wise enough to combine AI and human interventions, you get the best of both worlds. AI can remove human errors and community management teams can build more seamless and creative experiences that retain human touch and bring in both contextual and cultural relevance. Intelligent call routing systems can help contact centers generate more business and sales. For example: a customer’s caller ID automatically maps specific preferences and buying/customer engagement history. Intelligent call routing systems not only connect callers to the right department, they connect callers to the agents who are best qualified to help them. With most customer care and contact center enterprises existing on social media, the data on these social media websites can also be an invaluable tool for resolving customer problems and predicting customer behaviors and spending patterns. Take for example, the missed call OTP verification. It can certainly save operational costs, but SMS verification is reported to increase user adoption by 106%. This is where data can make a difference. Voice search and response are examples of powerful self-service technologies. Building more reflexive self-service systems will help customers help themselves without much interference from bots or other humans. Customers will be able to better define the kind of user experience they are looking for via their channel of choice. So how does your enterprise leverage technology to get to the next level of customer satisfaction? By exploring the latest trends with an eye toward adopting the ones best suited to your particular objectives.